When you’re cutting your lawn in the middle of the latest heat wave with temperatures reaching upwards of 90°F, chances are you’re not having a lot of fun. It’s bad enough if you have to do this on occasion, but if you live in an area where this type of temperature is typical in the summer, cutting your lawn is probably just not something you look forward to. Fortunately, if you live in this type of climate there are mowers that will make your life a little bit easier and you may want to consider a self-propelled model. You don’t have to live in an extremely hot climate to want a self-propelled lawn mower, of course. You may just like the convenience of it. 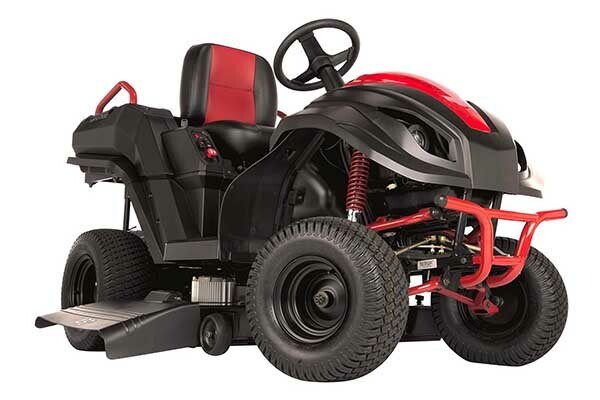 There are plenty of models on the market that offer a self-propelled option and a good choice to consider is the Honda HRR216K9VKA 3-in-1 Variable Speed Self-Propelled Gas Mower – it’s a mower with quite a bit of power and it’s affordably priced for most consumers at under $500. 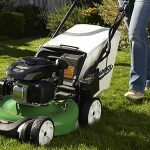 As we’ve already mentioned in the introduction to this article, this lawnmower is self-propelled, which makes pushing it a simple proposition – you simply have to engage the self-propelled function and the mower will push itself along; all you’ll have to do is guide it. You’ll still be getting some exercise; you just won’t be breaking your back in the process. 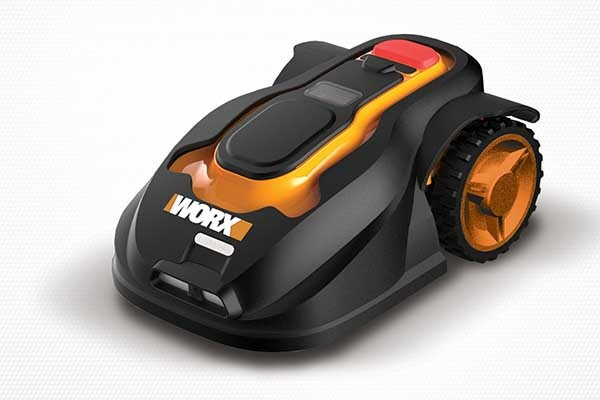 Don’t worry about the mower moving too fast for you to keep up with it, as it does come with variable speed options that you can adjust so that it suits the pace you’re looking for. You can adjust it from 0 to 4 mph – which is pretty manageable for just about anyone. At the highest setting of 4 mph you get a decent cardio workout while you’re at it. One of the biggest pains that I find with my current gas mower is having to prime the pump with the choke. If you’re not careful you can easily flood the engine, which means you’ll have to sit back and wait a while before you can get the machine to start. 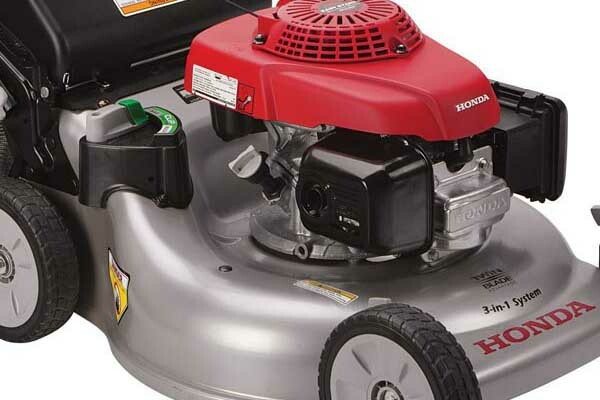 This Honda lawnmower has an auto choke so you don’t have to prime anything – you simply pull on the cord to start and away you go. It’s one less frustrating thing to worry about. 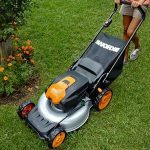 This mower uses a twin blade set up that enables it to perform a very fine micro cut on your lawn so your lawn is left looking sharp and well-manicured. 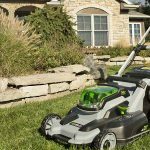 You won’t have to perform too many passes, either, as it has a pretty impressive cutting width of about 21 inches with those twin blades – above average for a push mower at the very least. Riding lawnmowers certainly cut a much wider path, but they also cost a lot more money. This Honda mower also has some nice options for how to handle your grass clippings. If it’s at the beginning of the season you can use the mulch option, but you also have the option to discharge your clippings into a clipping bag that comes with the product. 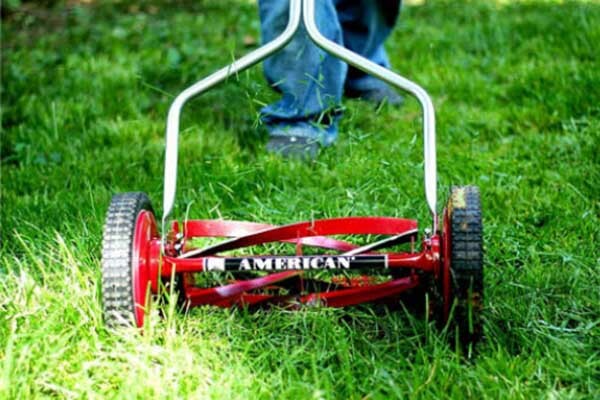 If you prefer to simply discharge your clippings on the grass, this model comes equipped with a grass guard that will prevent the clippings from going everywhere. 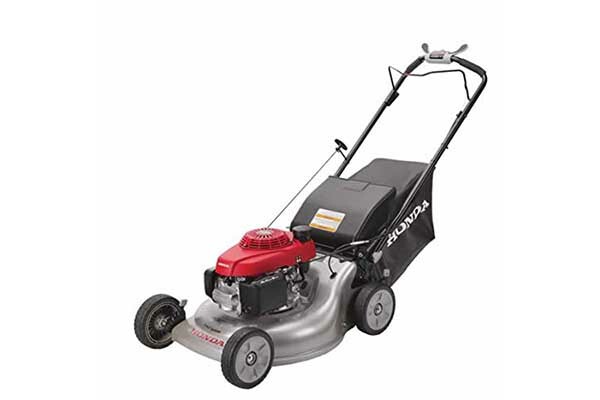 For an engine manufacturer with a positive reputation like Honda you would expect that a lawnmower produced by this company would also feature a powerful little engine; in this the HRR216K9VKA doesn’t disappoint. 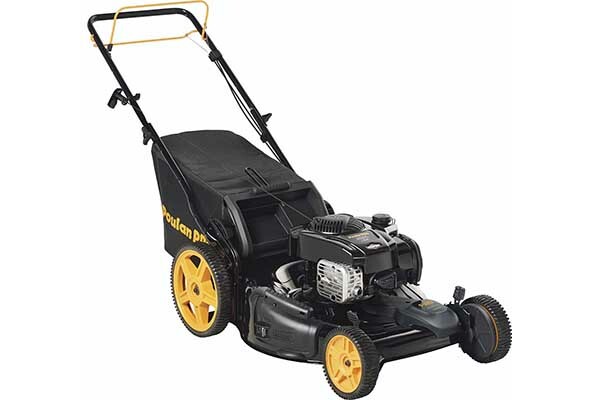 It comes equipped with a 160 CC 5 hp GCV engine that will handle just about all of your cutting needs. It won’t get bogged down in thick grass and it will easily keep going if your grass is a little wet as well. 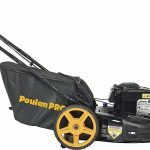 As seems to be quite common for lawnmowers these days, this model can be easily folded for storage when you’re not using it. The handle folds right down and the cutting deck of 21 inches should fit in some fairly compact areas in your garage or shed. 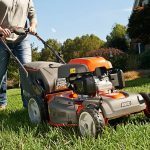 When it comes to our lawns we all have very different ideas of what the perfect lawn looks like; rather than try to convince you of what the right height for your lawn is, Honda has included six different cutting positions for you to choose from. You can set the height anywhere from 1-1/8 inches all the way up to 4 inches. That’s a pretty decent range and, for most of us, is well within the wheelhouse that we’re looking for when it comes to grass height. 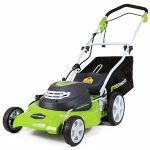 It probably won’t surprise you to know that this lawnmower comes backed by a very sound three year warranty that covers pretty much all of the mechanical parts in the machine and also includes labor. It may not be the longest warranty on the market these days, but it is one of the most inclusive. While this is a good lawnmower, it has faced its fair share of complaints just like any other product. Some customers have complained that the twin blade design isn’t actually that impressive as it causes you to have to overlap your cutting swaths by up to 2 inches – if that’s the case, the cutting width is actually reduced to about 19 inches of useful cutting path. Another complaint leveled at this machine by a purchaser is that the use of the speed control can be a little awkward. It does work, but it’s just not overly intuitive. 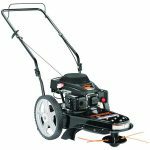 Overall the Honda HRR216K9VKA 3-in-1 Variable Speed Self-Propelled Gas Mower is a great product at a pretty decent price. The self-propelled feature is, of course, a big selling point, but it’s also got a pretty powerful engine and you have to appreciate the mulch feature that’s included. It’s definitely a product I would give serious consideration as a mainstay in my own garage.